The St Jerome’s Laneway Festival is a contender for Australia’s most treasured touring event. The fest originated as a block party in an actual Melbourne CBD alleyway in 2005. Laneway would establish itself as a credible brand with choice curation, expanding from indie into electronic dance, hip-hop and soul. It’s since travelled as far as Detroit. 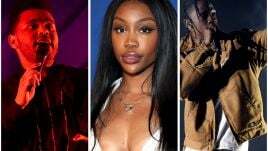 The 2019 bill again offers an array of beloved and buzz acts (The Bronx rapper A Boogie Wit Da Hoodie is a festival exclusive). Conspicuous are the many homegrown headliners – like Courtney Barnett, Gang Of Youths and Camp Cope. One of the most feverishly anticipated names is the UK soul star Jorja Smith, is now performing only the early festival dates in Brisbane and Sydney (lucky them!) due to her attending the Grammy Awards. Indeed, Smith has been nominated for Best New Artist on the back of 2018’s sublime debut, Lost & Found (not to mention her contribution to Black Panther The Album: Music from And Inspired By). To make it up to other cities, Laneway has secured The Smith Street Band, playing all five cities. With the beloved festival’s run looming close, we’ve put together an artist crib sheet of sorts just for you. So settle in for a little bit of homework and get to know your St Jerome’s Laneway Festival 2019 lineup, below. Baker Boy (aka Danzal Baker) is the Fresh New Prince of Arnhem Land – the young Indigenous dancer, musician and rapper is a genre, and movement, unto himself. This gamechanger alternately raps (and sings) in Yolngu Matha and English while incorporating yidaki, plus breaking and traditional dance styles. In fact, Baker, a trained dancer, began rapping only three years ago, inspired by his mentorship work with the Indigenous Hip Hop Projects. In 2017, he debuted with ‘Cloud 9’ (featuring fellow Laneway draw KIAN), then aired ‘Marryuna’ (alongside Yirrmal from Yothu Yindi And The Treaty Project) – both songs crashing in the triple j Hottest 100. Last year Baker graced the Melbourne Laneway as a triple j Unearthed winner, but he also opened for 50 Cent and blitzed Splendour In The Grass. This month the award-winner is following ‘Black Magic’ (featuring Dallas Woods) with a deadly new single, ‘Cool As Hell’. He’s also collaborated with Thundamentals, and has an album coming later in the year. He will def be Laneway’s most high-energy performer. Melbourne’s Camp Cope command a passionate, committed fanbase – their searingly raw alt-rock redolent of Sonic Youth, Hole and seminal Aussie pub-rock bands. The trio of Georgia McDonald (lead vocals, guitar), Kelly-Dawn Hellmrich (bass) and Sarah Thompson (drums) have also become crucial advocates for gender diversity on festival bills, as intersectional riot grrrls. Last March, they issued their second album, How To Socialise & Make Friends – part feminist manifesto, part experiential storytelling. The hard-hitting lead single ‘The Opener’ is a clever and powerful critique of industry tokenism. Camp Cope’s sophomore was critically-acclaimed and debuted at #6 in the ARIA Albums Chart. They’re returning to Laneway, having rocked it in 2017. Courtney Barnett is a modern troubadour, as much a poet as singer/songwriter. The Melburnian became a global critical darling with 2015’s Sometimes I Sit And Think, And Sometimes I Just Sit, casting dry, unpretentious observations about being young and getting by, while aspiring political change (incredibly, the parochial ‘Depreston’ is now universal). Barnett received a Grammy nod for Best New Artist – impressive as an independent act. In 2018, post-side-project with the US Kurt Vile, she delivered a sequel, Tell Me How You Really Feel. Barnett would be the first solo female artist to win the ARIA for Best Rock Album. She’ll strike Laneway fresh from MONA FOMA. Led by the charismatic vocalist/guitarist David Le’aupepe, Gang Of Youths are recognisably the biggest Australian rock band after Tame Impala. Their music evokes ’80s Bruce Springsteen, albeit with greater emotional swagger and an Antipodean crispness. The Sydney quintet’s last studio album, 2017’s Go Farther In Lightness, topped the ARIA Albums Chart. They swooped the ARIA Awards, taking out Album Of The Year. Three songs landed in the top 10 of the triple j Hottest 100, with ‘Let Me Down Easy’ humbly at #2 after Kendrick Lamar. In 2018, GOY’s live album, MTV Unplugged (Live In Melbourne), went Top 5 – an achievement in the digital era. The posse are not currently in an album cycle – yet remain more in-demand than ever, which is surely why they’re closing Laneway. G Flip (Georgia Flipo) announced herself as Australia’s hottest break-out star when, in early 2018, she uploaded the crunchy tech-pop ‘About You’ onto triple j Unearthed. The Melbourne prodigy had already acquired invaluable experience as the drummer in the local band EMPRA. However, she hurtled through an epic year, playing her first solo set at SXSW (no pressure!). Back home, Flipo performed at Splendour In The Grass and sold-out headline gigs. G Flip is the hipster rave who wowed mums and dads appearing on the ABC’s NYE spesh The Night Is Yours (together with Baker Boy and Kaiit). This month, she’s shared two contrasting new songs: ‘Drink Too Much’, a post-EDM Berocca, and ‘Bring Me Home’, a vulnerable piano ballad that actually sounds like Adele vibing to Flight Facilities. The UK’s Jon Hopkins emerged as a niche IDM composer. Mentored by Brian Eno, he worked quietly in the studio on Coldplay’s output. In the meantime, the dance music cognoscenti latched onto Hopkins’ 2009 ambitronica album, Insides – with 2013’s Immunity then crossing over. Last May, Hopkins resurfaced with album five, Singularity – a cinematic outing influenced by meditation, escape and the dualism between urbanity and nature. Still, it surrendered the techno club banger ‘Emerald Rush’. 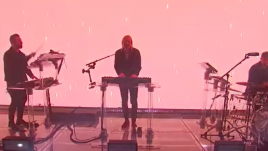 Now Hopkins is up for Best Dance/Electronic Album at the Grammys. Live, he’s all about the intensity of the groove. Hopkins is a regular visitor to Australia. He performed a driving laptop set at 2015’s Laneway and was last here for a DJ tour in late 2017. Micah “Masego” Davis brings the party. The Jamaican-American singer, rapper and saxophonist has invented his own genre, TrapHouseJazz, with DJ Jazzy Jeff a champion. The viral ‘Tadow’ hitmaker sold-out dates on an Australian run in 2017. He’s since give us a stellar debut album, Lady Lady, thematising his paradoxical urges towards romantic union and liberated desire through the prism of conscious black masculinity – and with humour. Referencing Andre 3000, the smooth af title-track was helmed by Sounwave from Top Dawg Entertainment. Masego should be a stand-out at Laneway. New York’s Mitski is a mythic figure in indie circles, releasing five albums – with the latest, Be The Cowboy, represented in influential ‘Best Of 2018’ lists (and topping Pitchfork‘s). The musician broke out with album three, Bury Me At Makeout Creek, introducing a guitar-leaning sensibility after the introspective piano-led fare of her underground discography. Three years on, she toured Australia on the back of Puberty 2. Today, Mitski’s profile has incrementally grown (she supported Lorde’s Melodrama World Tour on North American dates). Reviewers have praised Mitski’s recent live shows for their theatricality, but she also has a witty stage presence. She is no art purist, either – Mitski ingeniously covered One Direction’s ‘Fireproof’ for a Trump protest compilation, Our First 100 Days. Ravyn Lenae is the next R&B queen. #Facts. The Chi-towner is touring behind a gorgeous EP, Crush, recorded with The Internet’s Steve Lacy. Lenae’s sound is psychedelic neo-soul – cue ‘Sticky’. We can’t wait to hear ‘4 Leaf Clover’ live at Laneway. Note: it’s not the Atlantic Starr evergreen covered by Erykah Badu on Baduizm, but a whole fresh classic. Laneway has consistently booked new artists for their first Australian runs. 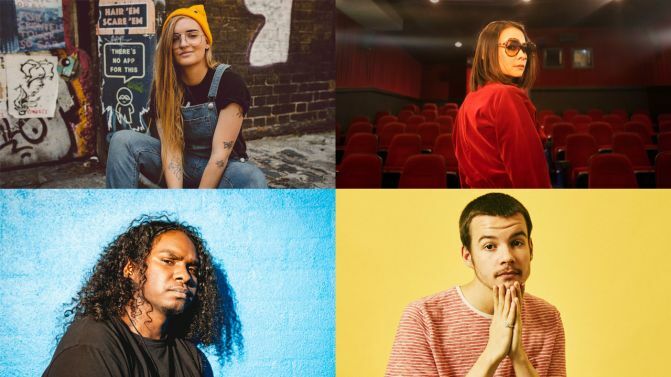 In 2019, the most exciting of these premiering acts is possibly the UK’s Rex Orange County (Alex O’Connor) – a BRIT School alumnus. The singer, songwriter and multi-instrumentalist has dropped two independent albums – the last 2017’s Apricot Princess. And, amid modest hype, he placed second in the BBC Music Sound Of 2018 poll, won by Sigrid. O’Connor – a more sanguine, opulent King Krule – charmed Tyler, The Creator, making two cameos on Flower Boy (duetting with Ty and Anna Of The North’s Anna Lotterud on ‘Boredom’). He has latterly released a streaming smash with another collab, ‘Loving Is Easy, featuring the Netherlands’ Benny Sings. Christopher “Smino” Smith, Jr is a droll MC, singer, drummer and producer from St Louis, now based in nearby Chicago. He’s noted for his headnodding, soulful hip-hop. Smith built his rep with a mixtape, EPs, and cameos on projects by Noname and Saba. In 2017, he debuted officially with the contemplative blkswn (black swan) – eventually reworking ‘Anita’ alongside T-Pain after trailing his acoustic tour. Smino hit Australia last year with fellow Zero Fatigue collective member Monte Booker (Lenae is also in their crew). In November, he unveiled the bouncier, and more instinctual, NØIR. The lowkey idol is flying Down Under with band to recreate his new material ahead of even the US – very wow. Smino hinted in an Instagram story that there are plans for a supergroup album from him, Saba and Noname in 2019. This month the three performed Noname’s ‘Ace’ on The Tonight Show Starring Jimmy Fallon – a mood. Laneway festival kicks off early next month. Peep the full lineup and dates down below. Head here for set times and here for all festival sideshows.